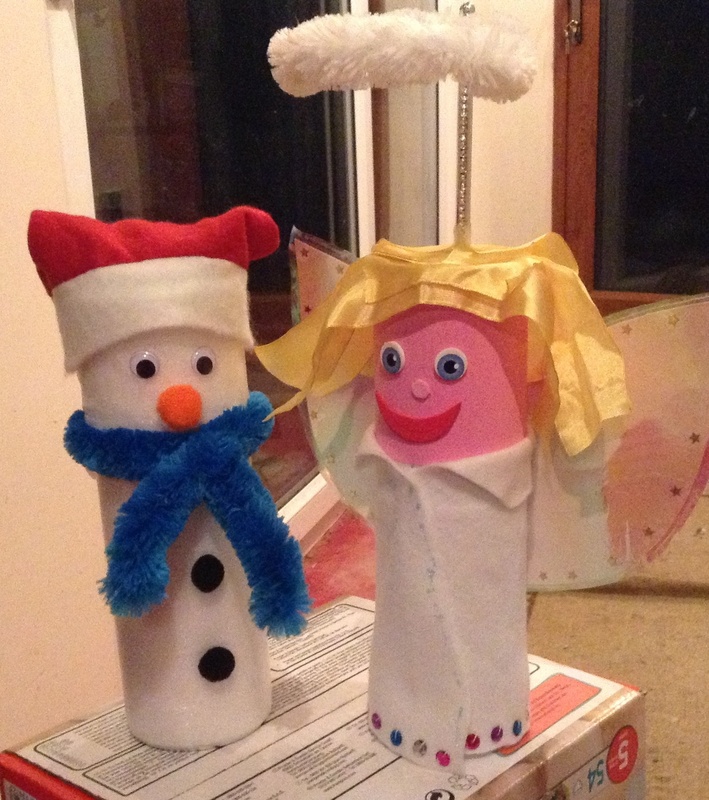 I sat up until 2am this morning, creating Christmas pringle pots for my children, after sleeping on the sofa from 8pm to 11pm. By the time I got to bed I was wired, and didn’t fall back asleep until 5am. I woke again at 6am with a need to write my blog post, so here I am. I love it when my brain and body are fizzing with the need to get things done. I just wish they wouldn’t combine to pick such obscure times to do it. I’m quite proud of the pringle pots, actually. And they’re not even to enter into the competition at school, but because we’ve managed to double book ourselves and so my daughter is unable to go to her school Christmas fair on Sunday. The school fair is one of those hyped events that I’m learning go with being a parent of school-age children. Actually, a mother said to me the other day that school feels like a part time job we didn’t sign up for. Absolutely! The craft, the paperwork, the fundraising, the instructions and rules and regulations. It easily takes me a few hours a week of time and considerably more of thinking and worry. And the pay is lousy! So, school have been collecting things or asking for money for things for the Christmas fair all week. Chocolate for the tombola, raffle tickets, admission tickets, the pringle pots. I’ve looked down the list of events and I think I can recreate Face Painting, Tombola, Make a Badge, and Tattoos. I’ve printed some Admit One tickets for the children to buy and use, and they spent last night cutting them out. I’ve printed some raffle tickets for the tombola (as long as no one minds winning tins of beans or whatever I have in my cupboard!) and located the face paints. I just need tape and safety pins and I’m ready. 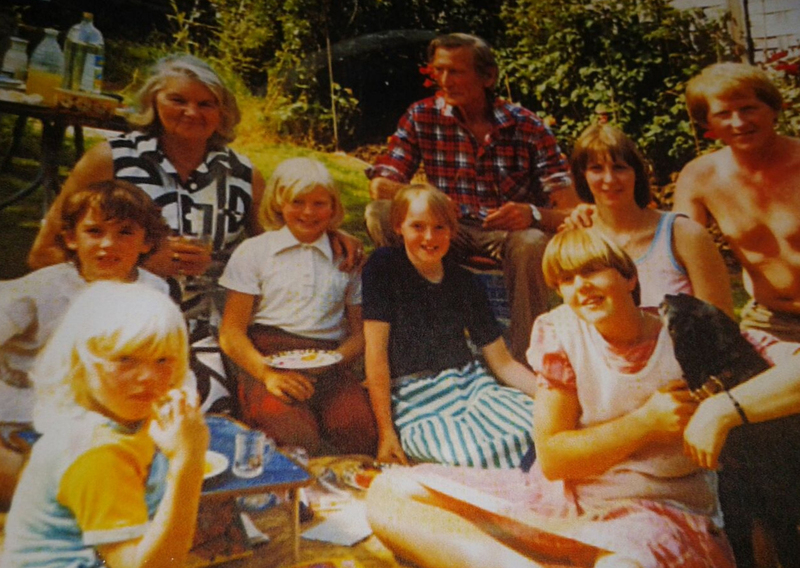 I spent an hour trying to find a picture this morning, to no avail, so I’ve added a picture of my Grandma and all her grand-daughters, in the sunny garden that brings back so many memories. I don’t suppose my mini Christmas fair for the children will be quite as much fun, but at least we’ve given it a go. “Jack, sit down before we all end up in the water.” Claire clung to the side of the tiny craft, her now-cold coffee clutched in the other hand like a security blanket. Despite the sun overhead, the water looked cold and uninviting. Both boys had proved adept at steering the small boat around the estuary and, to begin with, it had been rather pleasant letting them take charge. Once they’d got clear of the main traffic, and the bow waves of the bigger yachts, the water had flattened out like a mill pond. With the sun sparkling on the surface, and native trees huddling over the edges of the estuary walls, Claire had begun to relax and enjoy the morning. There was something soothing about being out on the water. Even with the low chug of the boat engine breaking the stillness, there was a serene beauty about the far reaches of the inlet they had ventured in to. Overhead, sea birds shrieked their disapproval at being disturbed by the thrum of the outboard motor. Shouts of laughter from the boys, as they squabbled good-naturedly over who was the better steersman, competed with the cry of the gulls. They had settled down to fish at the far end of Frenchman’s Creek. Heeding the warnings they had been given as they departed, Claire kept an eye on the time, not wanting to get beached at the far end of the creek as the tide slipped back out to sea. The name Frenchman’s Creek rang a bell. As the boys wrestled with the fish tugging at the end of the line, she tried to recall where she’d heard the name before. Then it came to her: wasn’t there a book of the same name by Daphne du Maurier? She seemed to remember it being on her reading list at university. Some swashbuckling pirate story, full of intrigue and romance. Except the silly woman had gone back to her doltish husband in the end, instead of running away with her lover to France. Strange choice. If it had been the other way around, the man wouldn’t have thought twice about leaving his children behind. She thought about Chris, her sister’s ex, and how much he had missed Sky when he left Ruth. Perhaps that’s a little unfair. Not all parents are as unfeeling as my darling brother. With a yell of triumph, Jack and Alex landed their fish, dropping it into the hull of the boat, where it thrashed about like a thing possessed. Claire pulled up her feet and appraised the russet and silver body, suppressing a shudder. “It’s a sea bass. Wow, look at the size of it!” Jack grinned. “Quick, Claire, take a picture, please.” He drew out the last word into a plea. Claire put her coffee cup down and retrieved her phone, trying not to grimace as Jack picked up the fish and removed the hook from its mouth. He held the wriggling body in both hands, and gave a cheesy smile. As soon as Claire had taken several pictures, he gave it one last longing look before throwing it over the side of the boat. “Don’t you want to keep it?” Claire asked, surprised, as the boys watched the fish swim away.